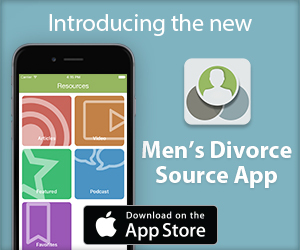 Dads Divorce sponsor Cordell & Cordell and sister site MensDivorce.com have teamed up to present a series of monthly recap videos to keep you informed on the latest news and top stories. Cordell & Cordell attorneys Katherine Daman and Phyllis MacCutcheon appeared on local radio stations to promote the firm’s recently launched Power of Attorney services. The services, which are free to divorced parents, ensure parents have access to important records and information about their children when they move off to college and keeps them prepared for emergencies. Dads Divorce published a new article about four mistakes to avoid during your divorce. With the stakes in divorce so high, one or two seemingly minor missteps can end up being disastrous so it’s important to hire an attorney who specializes in family law to guide you through the process. Men’s Divorce added a new article highlighting the impact parental divorce can have on college students. A child’s college years are a crucial time for their development. If their parents are divorcing during that time, it can make it even more challenging for them to find their niche as they transition to adulthood. Click here to subscribe to the DadsDivorce YouTube channel. ← Do I Have To Keep Paying Child Support?